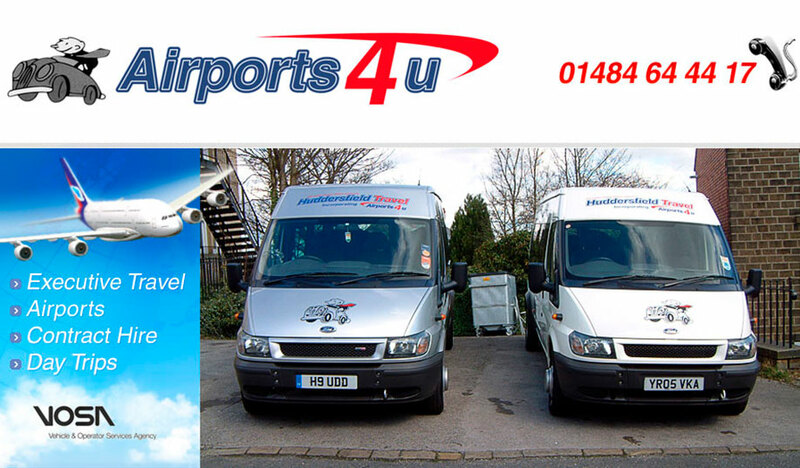 Here at Airports 4U, we specialise in UK Airports transfers throughout West Yorkshire and surrounding areas. We are a family run business providing transportation 24 hours a day, 7 days a week to and from all local and national airports. Our taxis and minibuses are also available for coastal trips, days and nights out, greyhound and horse race meeting transport in West Yorkshire stag and hens functions in fact any destination anywhere anytime. We have built our reputation up since 2001 by treating our customers the way we would like to be treated, in return this has brought us repetitive business. Our prices remain consistent, and there are no hidden costs. Our customers rely on a guaranteed quality service. We provide a reliable, comfortable 24 hours service, 365 days a year. Long distance travel to airports etc for both business and private travelers alike. Huddersfield Travel & Airports 4U is fully licensed by VOSA & the Kirklees Council and all drivers have had to been CRB checked & fully trained before being employed. We strive to be: Punctual: Driver will always arrive before the appointed time, thus providing peace of mind, especially relevant for UK airports transfers; we understand this is the beginning of your holiday. Reliable: The vehicles are of a high quality specification and are regularly serviced and maintained regardless of cost. From horse race meeting transport in West Yorkshire to executive transport in West Yorkshire, whatever you require we can provide.